The Beacon Club provides a safe, positive and healthy environment for adults with addition and mental health issues. Members enjoy home cooked meals at the club as well as exciting outings. Create a website where members can see upcoming events, and visitors can learn more about the club. We also wanted to provide a place where funders would be properly recognised for their help. 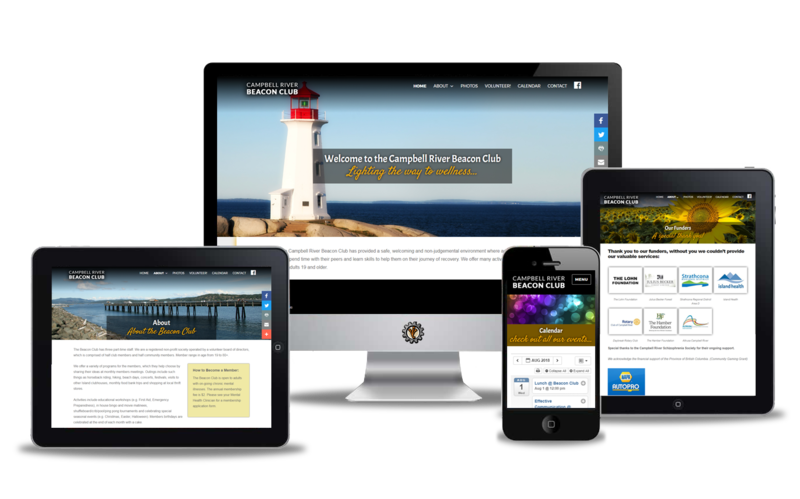 This website was proudly donated to the Campbell River Beacon Club by Vancouver Island Designs. If you have a community driven, non-profit group that would benefit from a website made by Vancouver Island Designs, please contact us.